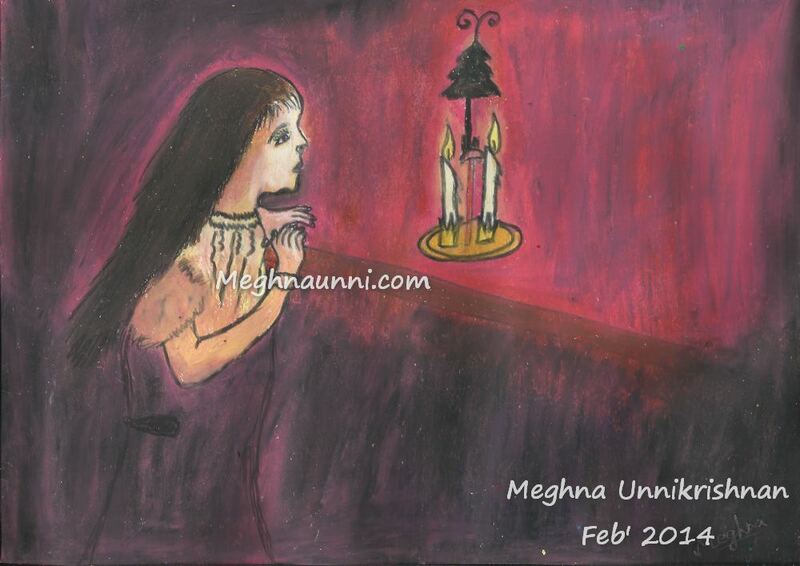 ‘The Girl in the Candle Light’ is a recent painting done by me. This is an adaptation of another artist’s work. Needs to improve on this picture. Done in Oil pastels.